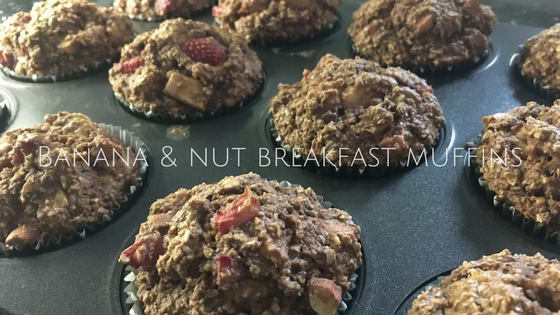 These muffins are great because they have very little sugar and the sugar that is in them is an all-natural raw honey and the fruit. The breakfast muffins that you get at Tim Horton’s or Starbucks are full of processed sugar. Depending on the muffin, the sugar content ranges from 29 g to 60 g of processed sugar! Not a great way to start your day and it definitely will take its toll on your blood sugar, making you tired, cloudy minded, and full of cravings. Optional ingredients: ½ cup chopped strawberries and pure vanilla. Prepare muffin tray with 12 muffin cup papers. Add the oats to a food processor (or blender if you don’t have a one) and pulse several times until the oats have a flour consistency. It doesn’t need to be pulsed too fine because a few chunky oats are good. Next, add all the other dried ingredients to the food processor and pulse a few times to blend well. In a large mixing bowl, add all the wet ingredients and stir together until the banana is fully mashed. Add the dry ingredients to the wet ingredient bowl and stir together until the batter is completely mixed. Divide the batter amongst each muffin cup. Place in the oven and bake for approximately 30-35 minutes or until a toothpick comes out clean. Remove from oven and let cool or eat them while they are hot, which is the way I like them. These will stay fresh for 2 days in a sealed container. And remember, healthy eating doesn’t have to be complicated; it just has to taste delicious. 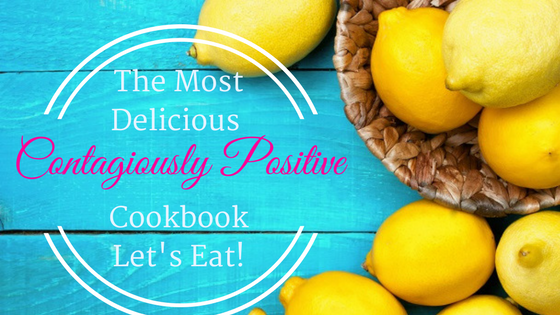 If you want more delicious & healthy recipes swaps for your favourites foods, I have a beautiful recipe ebook. Click the image below to check it out. It is so contagiously positive delicious!